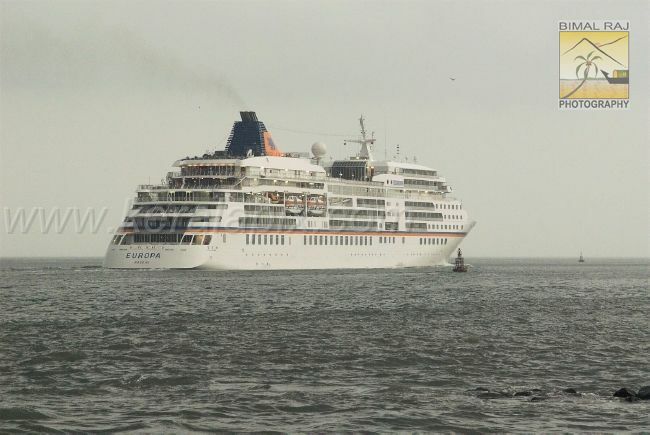 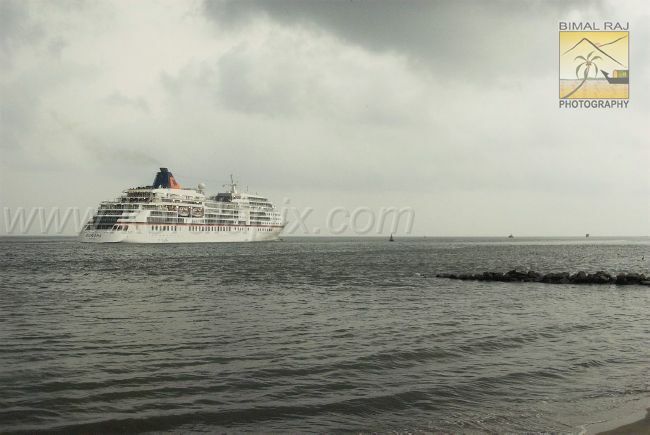 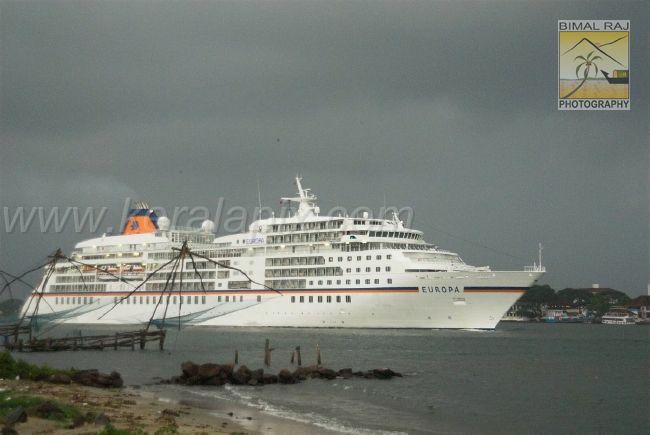 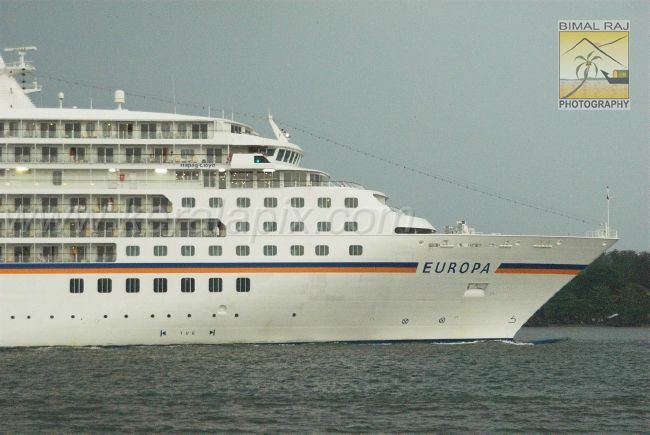 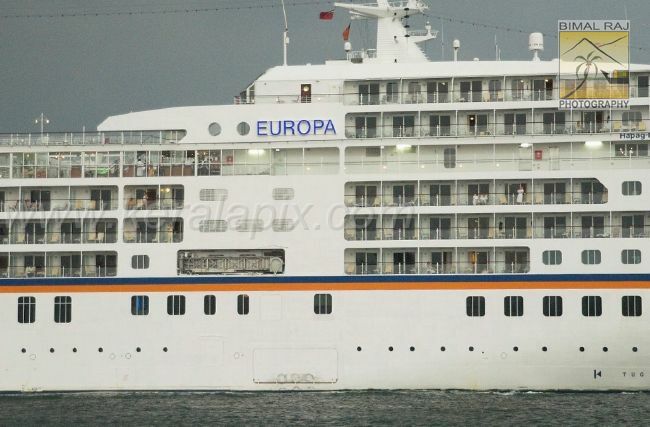 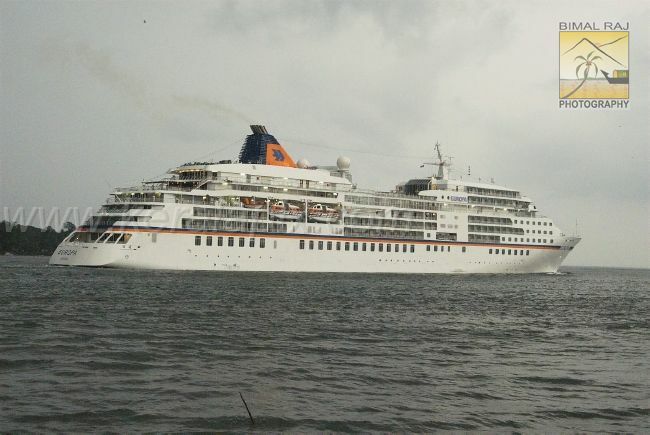 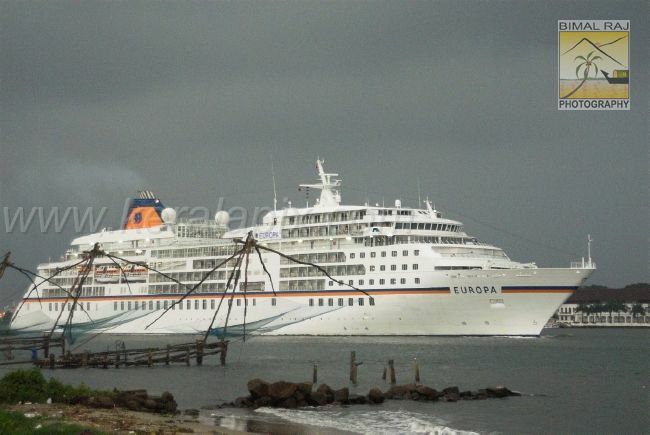 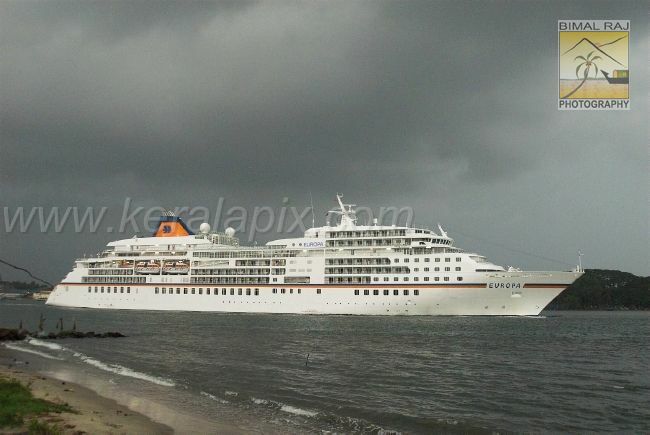 Cruise ship Europa called at Kochi on Sunday morning 13th of April 2008. 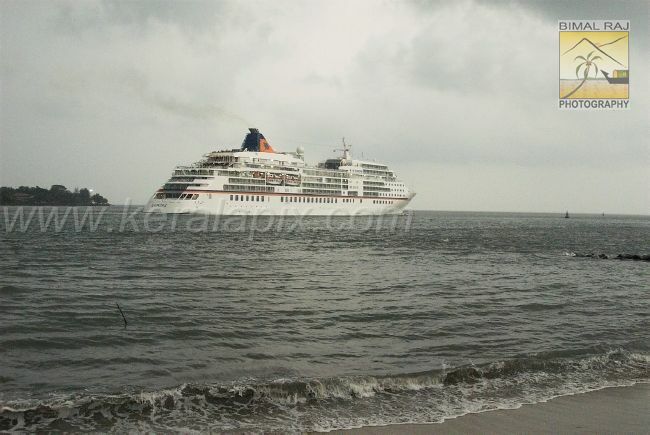 The tourists then took a tour of Kochi and its surroundings. 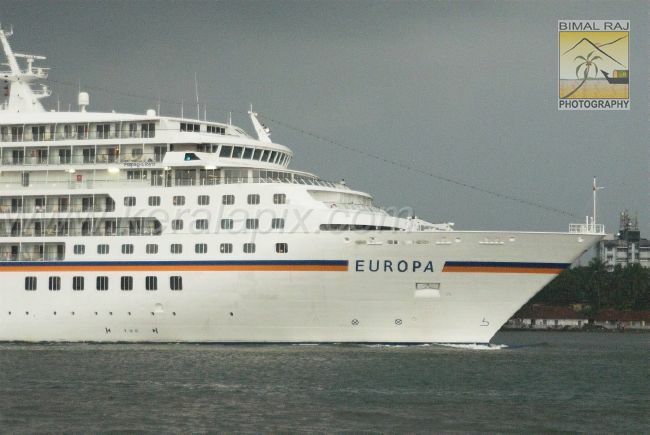 Europa was built by Kvaerner Masa, Finland. 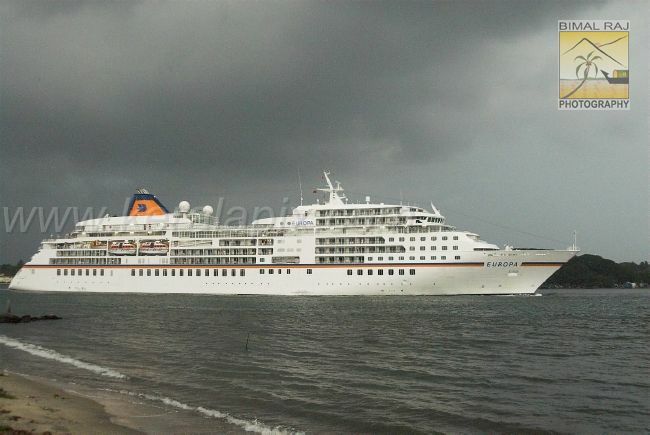 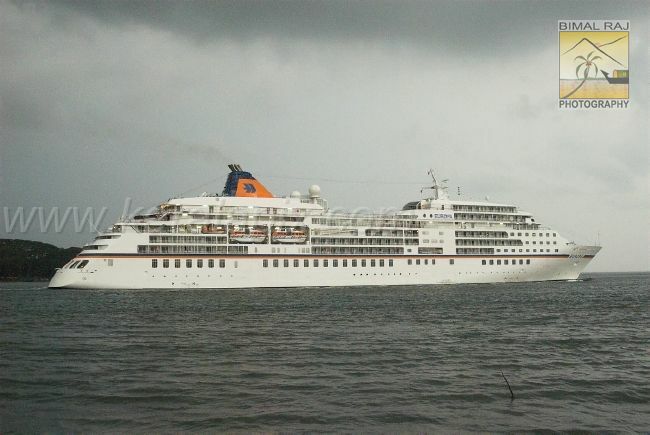 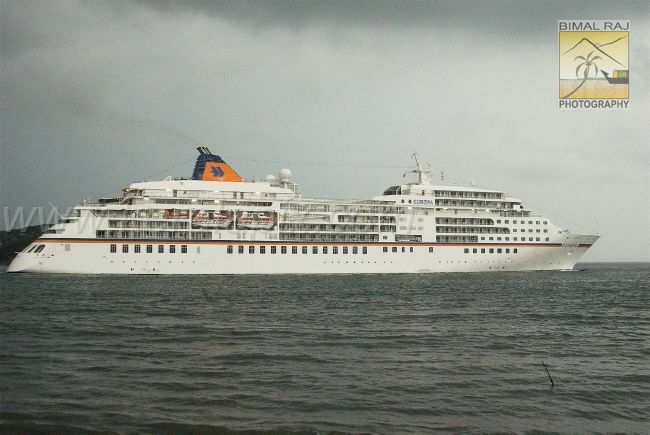 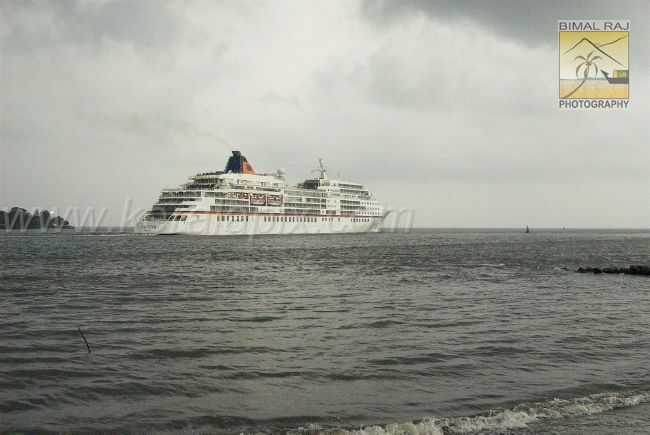 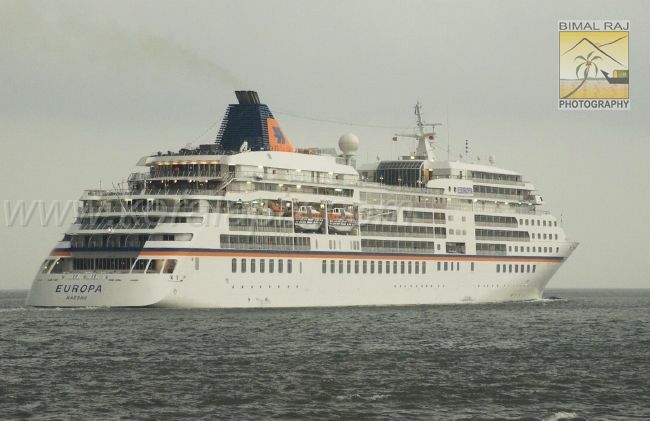 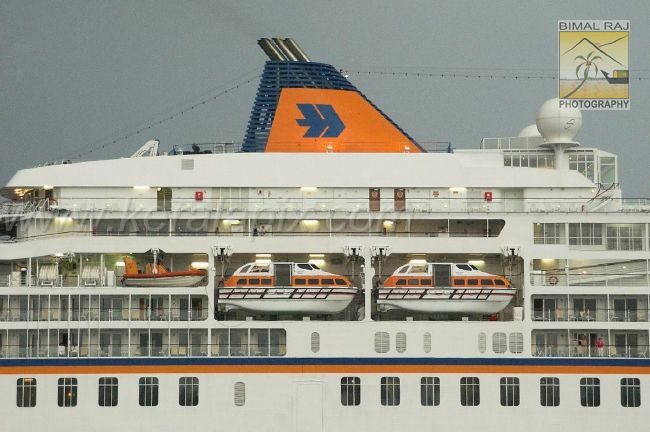 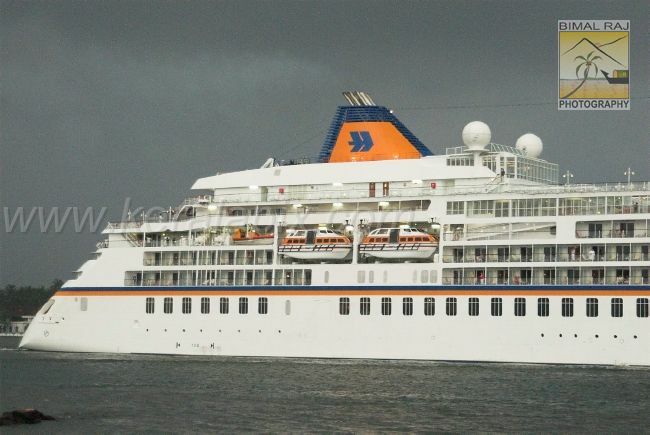 She was completed for Hapag-Lloyd in 1999. 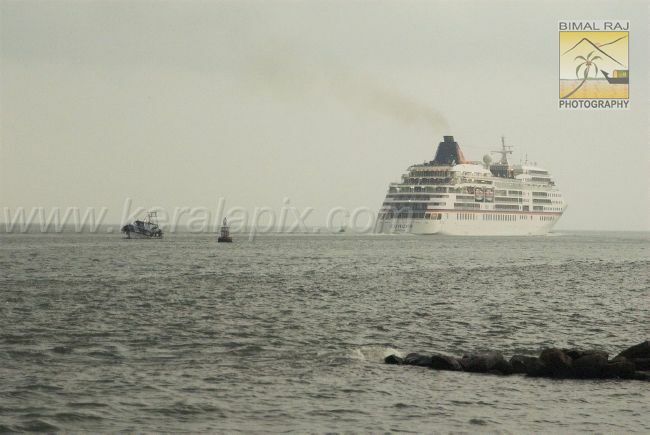 It's her second visit to Kochi. 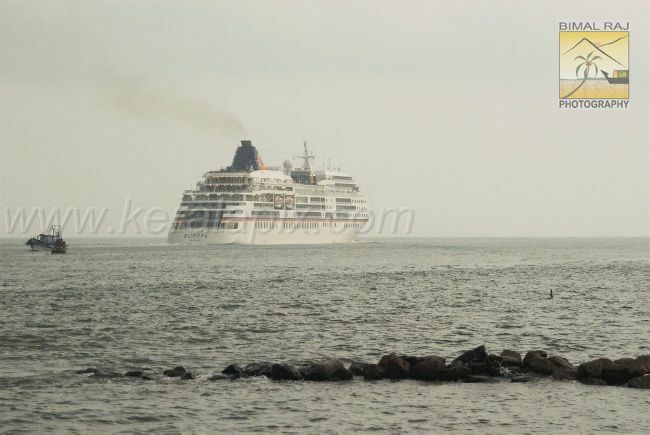 She left Kochi port at dusk. 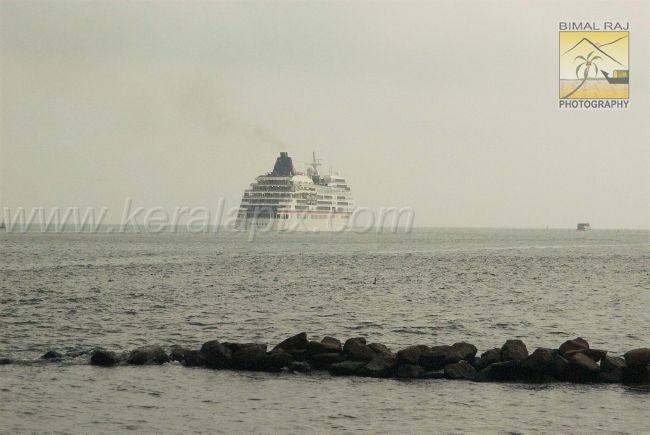 I took her pictures at Fort Kochi and it was cloudy and raining. 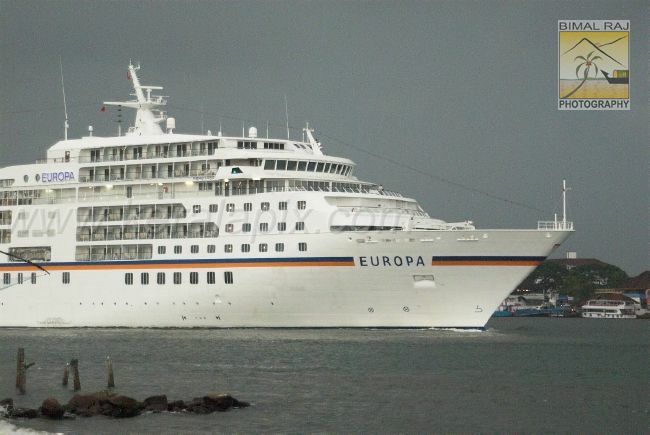 So I had to use an ISO rating of 1600. 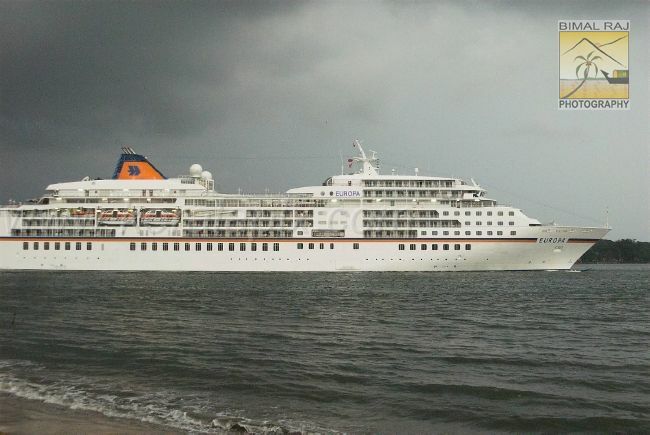 Despite the low light, I was able to capture good quality pictures of her.